Battleground states are called battlegrounds for a reason: They're often close, and 2016 looks like no exception. Hillary Clinton holds narrow leads over Donald Trump across a number of key states of Florida (up three points, 44 to 41 percent); Colorado (Clinton 40 percent, Trump 39 percent); Wisconsin (Clinton up 41 percent to 36 percent) and North Carolina, which has flipped back and forth between the parties in the last two elections, where it's Clinton 44 percent and Trump 42 percent. In the wake of the Brexit referendum in the United Kingdom this week, many wondered if the same sentiments that drove voters to leave the UK, such as voter unease about the economic and cultural effects of globalization, were at work in the U.S. presidential election, too. Similar sentiments underpin Donald Trump's general election vote, though there is not yet enough for him to surpass Clinton. Trump is also competitive in large part because of partisanship, as rank-and file Republicans continue to get behind him, even as Republican leaders have been more lukewarm toward the way Trump is running his campaign. About one-third of voters in these states feel the U.S. has done too much in trying to become part of the global economy; too much to make changes to its culture and values, and encouraged too much diversity of people from different backgrounds. Those sentiments are especially pronounced among Republicans and conservatives in these battleground states, majorities of whom feel that way. And those voters are overwhelmingly supporting Donald Trump over Hillary Clinton. Partisanship is driving much of these horse races too. Despite the hard-fought primary contests on both sides, Democrats in these states are now lining up behind Hillary Clinton and Republicans behind Trump--each garnering around eight in ten from their respective camps. And much of the vote appears locked in already: the bulk of those not voting for Clinton say they will not consider her, and the bulk of those not voting for Trump say they will not consider him. In Florida, sizable numbers of voters are voting in opposition to a candidate they don't like: Forty-eight percent of Trump's voters are backing him mainly to oppose Hillary Clinton, and 32 percent of Clinton's voters are with Clinton in order to oppose Trump. That opposition effect works for both candidates, but voters say each party may have lost opportunities. Fifty percent of those not backing Clinton say they might have considered a Democrat this year had the party not been selecting Clinton as its nominee, and 47 percent of those not for Trump say they might have considered a Republican, but won't support Trump. Voters see many themes in this election, though partisans have very different views on which of them are the most important. Most feel the election is a lot about the safety and security of the country (in Florida, 74 percent say so, as do 70 percent in North Carolina) and most say it's also about what it means to be an American (59 percent say so in Florida) and about whether or not the economy works fairly (53 percent say so in Wisconsin, for example.) Trump voters and Republicans are more apt to say it's about what it means to be American, and also about changing Washington. Clinton voters in these states are less likely to say it's about changing Washington, and more apt to say this race is about making the economy work, and about security the rights of people who deserve them. While some Republican leaders are at best lukewarm about how Trump is running his campaign, rank-and-file Republicans in these states are largely okay with it, and many don't care whether or not Trump listens to party leaders. This was an anti-establishment sentiment we saw repeatedly through the primary season, too. However for the larger electorate, and especially among independents, this campaign is leaving them a bit distant. Independents say that the Democrats nominating Clinton hasn't made them think better of the Democratic party, and that the Republicans nominating Trump hasn't made them think better of the Republicans. In Florida, 63 percent feel Hillary Clinton's response to the Orlando tragedy showed compassion for the victims, while 46 percent feel Trump's response did. Across these states, Clinton is much more widely described as being prepared to be commander-in-chief. Meanwhile Trump is more widely seen as able to bring change to Washington, and seen by slightly more as able to fix the economy. In Florida, 51 percent describe Clinton as prepared, while 38 percent say that of Trump. 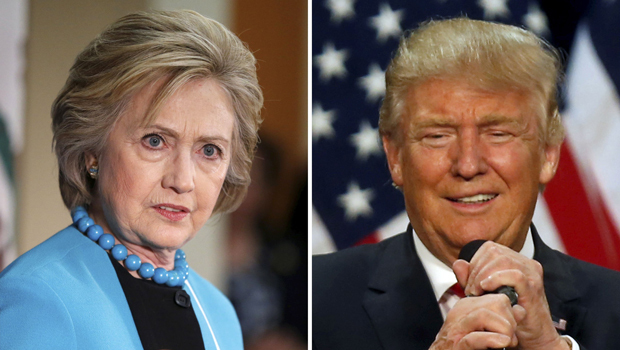 Sixty-five percent say Trump would bring change, while just 33 percent say that of Clinton.